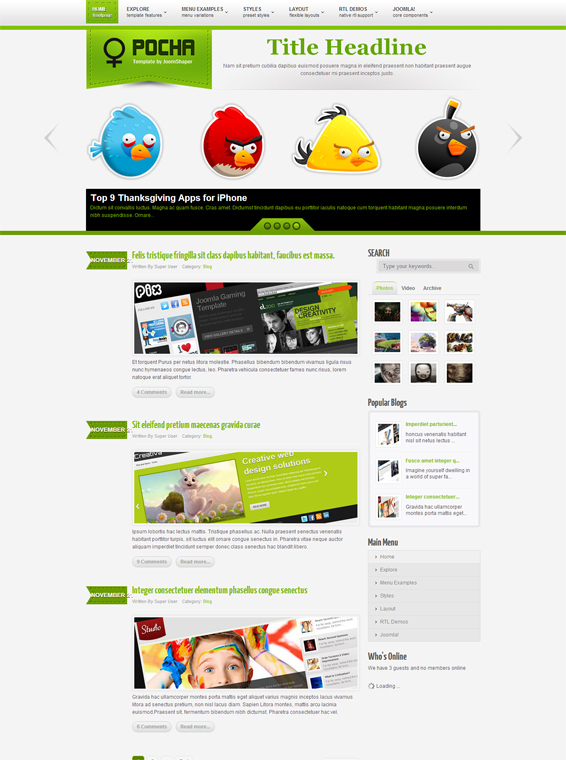 Original template JS Pocha, made in light colors, has a number of different color styles to create a unique website design. Developers JoomShaper studio made sure that this layout has satisfied the needs of any user, since it is possible to construct a resource-based totally on any topic - from an online store to your blog. Template functions thanks to a convenient platform Helix Framework. It has 12 built-style solutions, and the number of module positions exceeds 40. In addition, the template has optimized code layout and full compatibility with Joomla 2.5.